Coffeepot Lake Impressive basalt cliffs frame this eastern Washington lake. More than 900 acres bordering the lake are managed for wildlife habitat, as well as for recreational opportunities including boating, fishing, hiking, horseback riding, camping, and picnicking. 44150 DISTRICT OFFICE LANE N.
Camping Information: Lori Carstensen at 509-754-7800. Hawk Creek Campground is a small secluded campground located past Seven Bays Resort on Miles-Creston Road. In Davenport go north on HWY 25 from HWY 2. Follow Highway 25 to Miles-Creston Road. Turnj left and go approximately 8 miles to the turn off to the campground. 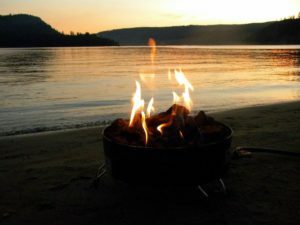 Keller Ferry Campground is arguably the nicest location for a camping vacation in the Northwest. Located right on the sandy beaches of Lake Roosevelt National Recreation Area, this campground offers great water sports, the best in fresh water fishing, stunning views, and nearly perfect summer weather. It’s a very short walk to brand new docks,and the Marina Store where you can rent fishing or ski boats, also pontoon boats.The Campground features a comfort station, areas for picnicking, tent camping, trailer sites (but not hookups) and group sites. Group sites are available only by reservation. There is waste disposal for trailers and boats. Selected campsites at Keller Ferry may be reserved and some are available on a basis of first come – first served. The best spots fill up fast, so it’s a good idea to make reservations early. The phone number is 509-647-5755 and online reservations are here. Details : First come-first serve basis. Thirty-one sites. Some are suitable for tents and some for most RVs. No more than two units (one RV and one car for example) and 10 people per site. Some shade. Free scheduled activities during summer season. No hookups. Free dump station and water for RV tanks. Comfort stations. Water availability is contingent on lake level. This is a very busy and often full campground. Look for alternatives when planning. Twin Lakes Camp or picnic between upper and lower Twin Lakes where shade trees offer a tranquil setting. Non-motorized trails wind through shrub-steppe uplands, past numerous wetlands, and through the upper Lake Creek Canyon. This area is a unique part of the Channeled Scablands with more than 14,000 acres of BLM public land. It is managed for its recreational opportunities, wildlife habitat, and seasonal livestock grazing. Combine family camping with fun learning. Check out the Ranger Programs at Lake Roosevelt campgrounds & park areas. 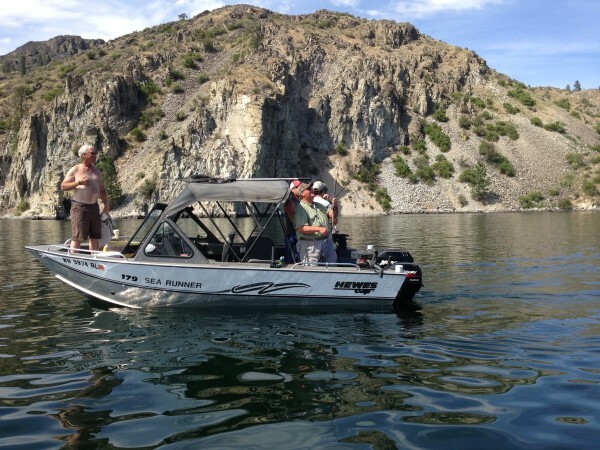 Ft. Spokane Boat Launch Amenities include accessible boat lunch, multi lane boat ramp, and boat trailer parking lot. Keller Ferry Marina Currently, services are limited to moorage, fuel, ice, beverages, and snacks. Ultimately, patrons may expect amenities similar to those at Seven Bays. Lake Roosevelt Lake level fluctuates. Check lake levels and boat launch elevations to be sure of access Minimum water levels for boat launches. Seven Bays Marina offers houseboat rentals, boatslip rentals, paved boatlaunch, fuel, pump-out services, wi-fi, Coyote Grille Restaurant, groceries, cold drinks, ice cream, espresso, baked goods, souvenirs. For more info on how to obtain a card click here.